Maalaea Banyans #1404310 WE pay you to stay! Cash $ back after departure! $145 Spring Special! Valid 04/23-04/29 & 05/13-06/07! Maalaea Banyans is located in a quaint harbor village nestled between Maalaea Bay and the majestic West Maui Mountains. Maalaea Banyans #1404111 WE pay you to stay! Cash $ back after departure! $145 Spring Special! Valid 04/23-05/05 & 05/12-06/03 & 06/11-06/15! If you're looking for all the amenities of home, oceanfront views, a clean and well maintained condo at a fair and reasonable price then you've found it! Maalaea Banyans. Maalaea Banyans #1404315 WE pay you to stay! Cash $ back after departure! Our oceanfront home features high end stainless steel appliances, granite counter tops, custom design lighting fixtures and furnishings throughout. Maalaea Banyans #1404209 WE pay you to stay! Cash $ back after departure! $145 Spring Special! Valid 05/15-05/22! ***Exciting News! *** BRAND NEW REMODEL COMPLETED! 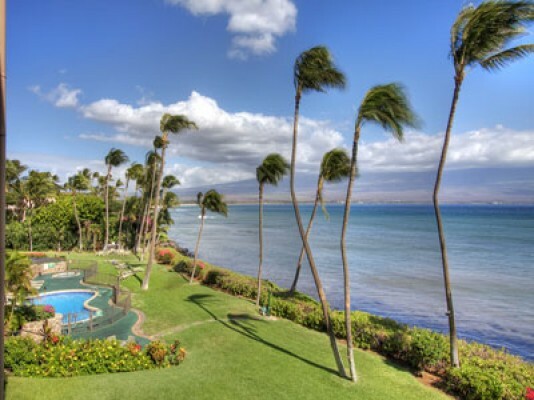 Enjoy a peaceful and relaxing setting in west-central Maui on quiet Maalaea Bay. Maalaea Banyans #1404418 WE pay you to stay! Cash $ back after departure! If you're looking for all the amenities of home, oceanfront views, a clean and well maintained condo at a fair and reasonable price then you've found it! Maalaea Banyans is exclusively located in a quaint harbor village nestled between Maa. Maalaea Banyans #1404409 WE pay you to stay! Cash $ back after departure! $159 Spring Special! Valid 05/18-06/07! Two bedrooms with an additional room in loft (sleeps 6) Two baths Queen bed in downstairs master bedroom Queen bed in loft/Two twin beds in additional room in loft Window A/C located in the living ro. Maalaea Banyans #403 is a 2Bd/2Ba unit on the top floor with a panoramic ocean view.